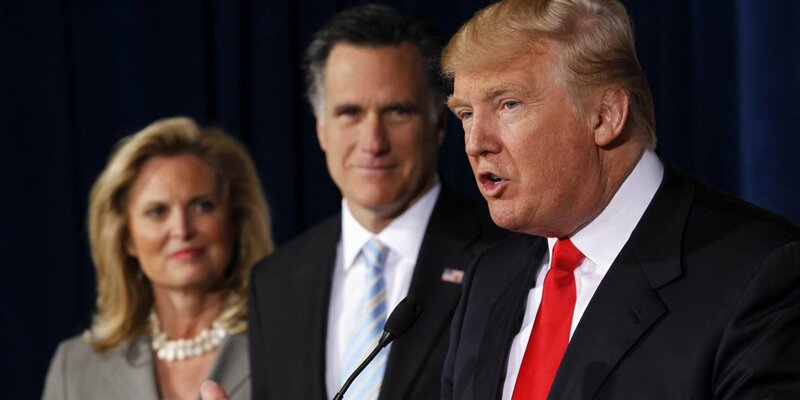 Donald Trump has met Mitt Romney, with reports suggesting he may be considered for secretary of state. Mitt Romney was one of Donald Trump’s fiercest critics during the election campaign. Neither man gave details of their 80-minute meeting on November 19. Mitt Romney said the talks had been “far-reaching”. During the campaign, Mitt Romney called Donald Trump a “fraud”, while Trump said Romney’s unsuccessful presidential bid in 2012 had been “the worst ever”. Donald Trump has settled several posts so far, a number of them controversial. The nominee for attorney general, Jeff Sessions, was rejected from becoming a federal judge in 1986 because of alleged racist remarks. Lt. Gen. Michael Flynn, the new national security adviser, has drawn concern over his strident views on Islam. On leaving Donald Trump’s golf course in Bedminster, New Jersey, Mitt Romney did not answer questions on whether he would accept a cabinet position, or whether he still thought his host was “a con artist”. Mitt Romney said only that they had held a “far-reaching conversation with regards to the various theatres of the world” in which the US had an interest. Donald Trump will conduct more meetings with potential appointees at the golf course over the weekend.